In 2001, the price of Duke Energy stock was $81. In 2019, it is $90. A generation of one’s investing life has come and gone, and Duke Energy shareholders have almost no capital appreciation to show for it. They have lived almost exclusively on a 3.88% dividend that they have averaged over this time frame, with total annual returns of 4.85% over the past eighteen years. Granted, for one who reinvested, the results were nearly 6%, which speaks to the power of pouring cash dividends into a cash-generating asset over long periods of time even if the asset itself has some mediocre characteristics. 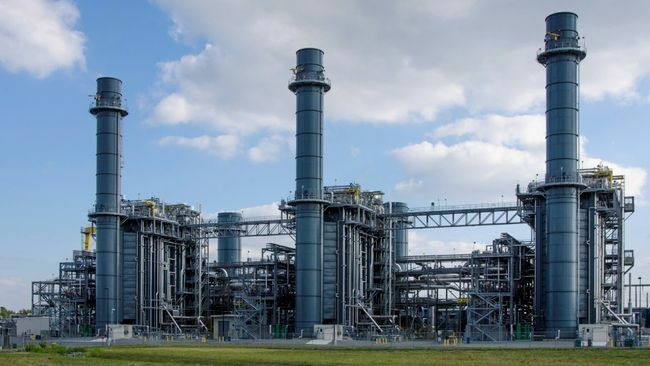 Duke Energy owns vast and lucrative utility assets, but the high debt burden puts a damper on the returns that investors receive. This is a shame because it renders DUK stock as nothing more than a mediocre stock investment despite owning assets that should be delivering great returns if it weren’t shackled by its $56 billion debt albatross. On the surface, Duke Energy looks like the kind of dream stock you would want to buy, collect cash dividends to support your life, and have it serve as a “base” for you in life whether you decide to use the ongoing dividends to support your lifestyle or make other investments that provide similar value as Duke does. After all, it provides electricity to 7.4 million Americans in the Carolinas, Florida, Ohio, Indiana, and Kentucky. It also has 1.5 million gas customers and a 25% stake in Saudi Arabia’s National Methanol. That sounds like a sweet set-up for shareholders. Duke provides an indispensable product that generates nearly identical cash flows in both good and poor economic conditions, and it does so in markets where the regulators are generally more receptive to electricity rate hikes than the median U.S. electric price regulator. The National Methanol stake is something like a hidden balance sheet that could be someday be spun off to shareholders as one of those little bonuses that turbo-charges wealth creation that you see every so often. But that has not been the case for shareholders of Duke Energy stock. While all utilities (really, are) carry a meaningful debt burden, the balance sheet of Duke Energy is on the short list of the most leveraged balance sheets I have ever countered. It generates $8 billion in cash flows, $3.6 billion in profits, and carries $57 billion in debt. Over a whopping $4 billion each year is paid to creditors, both in the form of principal payments and past interest. My view is that Duke Energy has been fortunate in benefiting from low interest rates over the past decade such that it has been paying de minimis interest expenses that understate the scope of this debt burden. I think some people look at the shorthand debt summaries, see that almost $35+ billion of this debt is purportedly not due before 2023, and assume that these debt obligations are locked in at low rates. Unfortunately for shareholders, Duke Energy is one of those cases where you have to dig in and read the annual report in order to realize that the actual debt obligations are worse than the stated reality. Then, there is a table of various debt issuances, which contains a kicker in footnote “l” to the table: “Debt issuance has a floating interest rate.” You can see in the table that, say, there are some first mortgage bonds with only a 1.850% interest rate, but upon maturity in January 2020, Duke Energy will either have to pay off the obligation or refinance according to the terms of the floating interest rate, which will presumably be much higher (in this example with the 1.850% interest rate, we are only talking about $250 million, but the floating rate interest terms apply to twenty-one different debt obligations that vary in principal amount between $100 million and $750 million with a range of interest rates between 1.850% and 3.150% that matures prior to August 2022). My conclusion is that Duke’s interest expenses will increase substantially over the next three to five years. Since the overall debt burden is enormous at $56 billion (even a 1% increase in debt-related expenses results in $560 million in added expenses), I believe the $3 billion in profits will be unlikely to rise because the debt is so extreme and Duke Energy pays out 77% of its profits as dividends so there is less than $1 billion in retained profits that could be freely directed toward efforts such as debt reduction. For the past decade, debt hasn’t mattered due to low interest rates, and the old-school reality that investors of a certain age can recall will play a more noticeable role in limiting future returns of many high-debt enterprises. If I had to translate this into a stock price prediction, I would say this. There will be a date, somewhere between 2024 and 2030, when Duke Energy stock trades below $100 per share. I think it is entirely more likely than not that medium-term shareholders will continue to collect their dividends but not get much in the way of capital appreciation because profit growth will be hard to come by when the enormous debt burden is refinanced out of necessity at a higher interest rate. This is a shame, since the underlying assets of the utility are wonderful and should be making owners rich. But it got those 7.6 million customers by taking on an un-wieldily high amount of debt, and the piper must always be paid. A 5% Junk Bond Bubble: What Could Possibly Go Wrong? What If You Bought Visa, Mastercard, and Discover During The Financial Crisis?